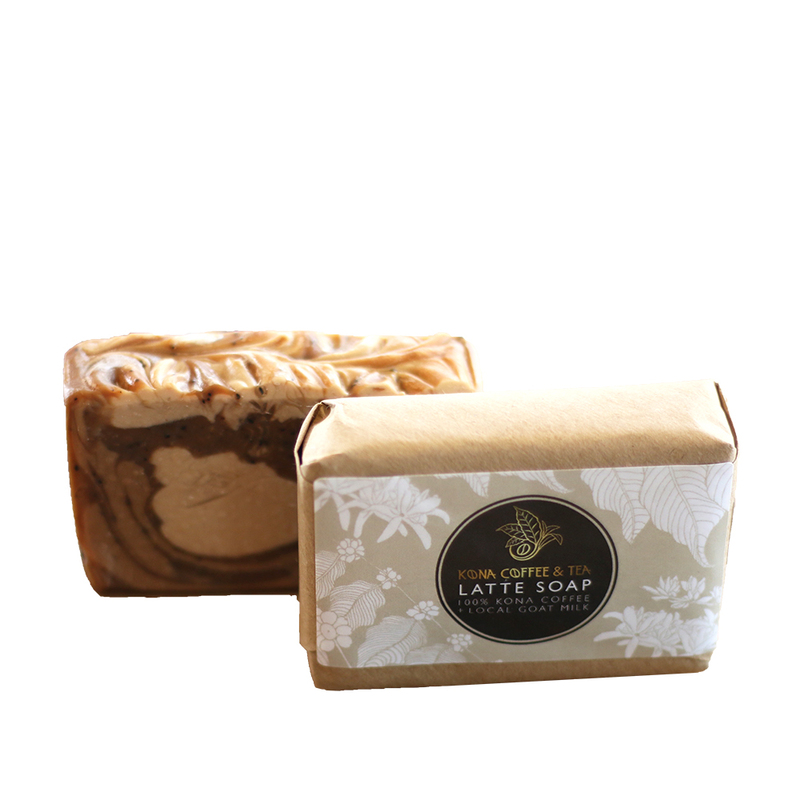 The Kona Coffee & Tea Latte Soap uses our dark roasted coffee brewed extra strong along with some fine ground coffee, combined with natural, hydrating oils and a local goats milk. The caffeine in the coffee is said to keep the skin taut and even help with cellulite, while the goats milk and the oils will leave the skin soft and silky. You can expect a refreshing coffee scent, perfect for that morning shower. All products are handcrafted soaps and sourced with sustainability, purity and natural properties as a priority and use only phthalate free fragrances.